If entries warrant minimum 16, management must split class into two sections. For every eight entries after 16 entries management must continue to split into additional sections. i.e. 24 entries would split into 3 sections, 32 entries into 4 sections and so on. California split may be used. If there is not a minimum of riders of either or both the junior or adult medal qualifying class, the show can combine to meet the rider requirement. Riders will show at their respective heights. Junior riders will still need a win to qualify. Point system for adult riders will remain the same. 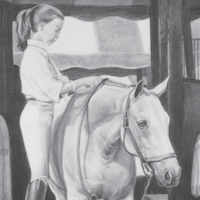 The New England Equitation Championships (NEEC) celebrated its 43rd anniversary this year. The five-day event is one of the longest running and most prestigious equitation finals in the country. All five days were produced by ShowNet and livestreamed on USEF Network. Emma Fletcher, Ellie Raidt and McKayla Langmeier gave excellent commentary on Sunday’s Junior final. The renowned judging panel included Ken Krome (course designer), Hope Glynn, Jenny Fischer, Lynn Forgione, Brian Lenehan and Jean Marie Dunford-Miller. The 46+ Adult Medal kicked off the week on Wednesday, October 17. Jeanine Cash was Champion, Reserve: Sarah Cabot. The 28-45 Medal scores required testing the top two. 2007 Junior Champion, Jenny Walters, reclaimed her Champion title, Reserve: Carolyn Lavin. On Thursday in the 22-27 group, Melissa Groher was Champion and Hannah Brown was Reserve for the second year in a row. In the 18-21 group Emelie Burgess was Champion. Reserve: Clara Bechtold. The Adult Amateur Grand Championship Class on Thursday invited back Champion and Reserve riders from the four adult age groups to compete. Hannah Brown emerged as Grand Champion. Junior Open sections ran Friday and Saturday. On Friday evening, 76 Juniors took the written phase of the Horsemanship Class. Originating at the NEEC, the Horsemanship Class combines a rider’s written test score, practicum, and first round Finals score to determine the overall top Junior Horseperson. 425 family and friends then gathered for a fun-filled dinner and commemorative video celebrating Juniors in their last year. McKayla Langmeier won the Junior Sportsmanship Award. Kelley Small received the esteemed Sue Brainard award in recognition of her years of dedication to the NEEC. The world-famous Challenge of the States team costume class ran on Saturday and participants celebrated with as much gusto as ever. Juniors with top scores in the Open competed on teams of six to represent their home states – NO help from trainers allowed! Connecticut 1 won Gold. Thanks to an anonymous donor, teams competed for money to donate to a charity of their choice. Gold donated to Danny & Ron’s Rescue. Cookie DeSimone won the Lifetime Achievement Award. 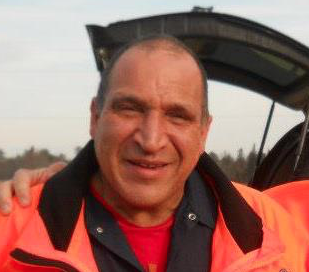 Cookie is beloved by generations of students and has been a cornerstone of the NEEC as a member and co-chair of the show committee. Sunday’s Junior Medal Final featured 175 riders. Between rounds, Frances McGivern was named winner of the Katie Battison Horsemanship Award. Top scoring Juniors who never competed in a 3’6” final were eligible for a separate set of ribbons. First place went to Lila Ouellette. Ellie Ferrigno earned the High Point Junior Rider Award. After two rounds and a test of the top three, Katrina Tiktinsky’s beautifully consistent trips made her NEHC Junior Medal Champion. Trainer: Jenny Martin-Rudaz. Reserve: Ava Stearns, Trainers: Missy Clark, John Brennan, Linda Langmeier. Exciting Announcement for NY Riders! 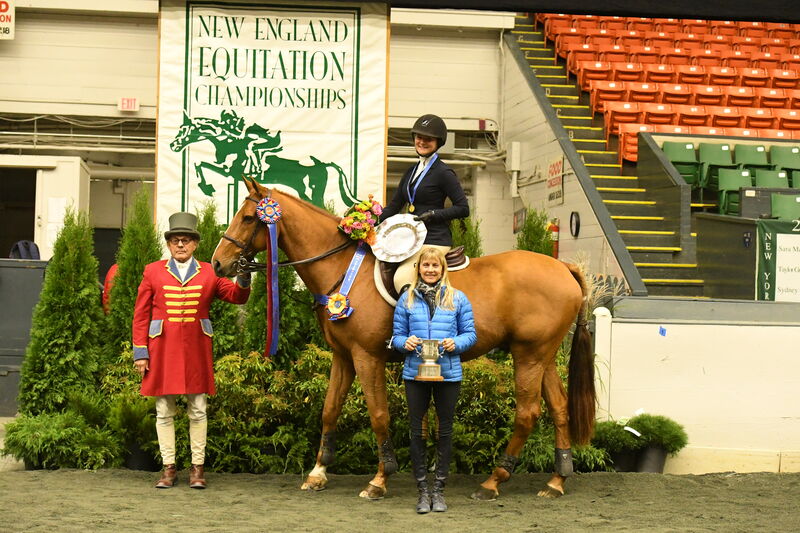 At the request of the New England Equitation Championship Committee (NEEC) the New England Horsemen’s Council (NEHC) has approved to allow USEF Horse Shows from New York to offer our NEHC Hunter Seat Medals. 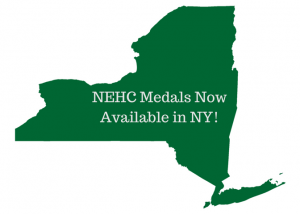 Going beyond that NEHC also approved New York shows to hold our other medals as well (Saddle Seat, Western and Hunter Seat Pleasure). This is exclusive to USEF Horse shows in the State of New York effective May 1, 2018. We have received many requests from NY riders who have wanted to qualify for our Medal Finals by doing so in their home state. We have also had New England members ask about shows in NY hosting the medals as another venue for them to compete and qualify. When applying for a show date let us know if you would like to run just the NEHC Medal Classes and NEHC Pleasure or the entire show. To affiliate and allow exhibitors ample time please send your forms to the NEHC Administrator at least 45 days in advance. All affiliated shows are posted on our website with their link to all of our members. We look forward to working with you and your horse show. Do not hesitate to contact Cindy our Administrator for any questions. 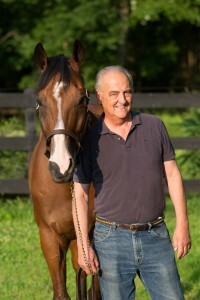 Congratulations to NEEC Committee member, Joe Dotoli, on receiving the USEF Lifetime Achievement Award! We are so proud of the work that you have done and continue to do for the equestrian sport. The 2017 New England Equitation Championship Horse Show will use the Show Management System On-Line Entry Platform to accept electronic entries for this year’s competition. This service is billed as part of your office fee and we encourage you to use the Show Management System platform. Exhibitors will be able to enter the show electronically as well as view their bills online. To submit entries or learn more about the electronic entry process, please visit entries.showmanagementsystem.com. Class 1 and Class 2 will be held on Wednesday, October 17th and Class 3 and Class 4 will be held on Thursday, October 18th. Riders may only move up in age group eligibility. If you have any questions regarding previous winners’ eligibility please contact Cookie DeSimone or Amy Eidson. Grants For Horsemanship Educational Clinics! 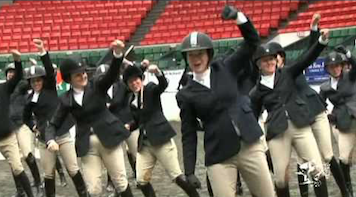 Welcome to the New England Equitation Championships’ News & Updates blog! Here, you can find all announcements for the upcoming 42nd New England Finals. Make sure to check back to stay up-to-date with all of this years’ exciting changes. As our first big announcement, we are proud to let everyone know that we are now categorized as a 501(c)(3) nonprofit organization.